We are living in a technology era and witnessing some amazing developments in every field, especially hair restoration. Going bald is not a thing to be ashamed of but sometimes your baldness doesn’t match your personality, you must seek for some affordable hair transplant surgery. Hair transplant procedure includes the collecting live hair follicles from side and back of the head and embedding them into the regions of the scalp that have gone hairless. But some people fear that after hair transplant surgery the hairs will not be the same as before. This is not true, as the hair which grows after the transplantation is similar to the natural and requires just the same care as natural ones. They can be washed, oiled and style like your natural hair. This is because the follicles are taken from the donor site which has good growth. This hair transplant surgery is a permanent technique of curbing hair loss. After the surgery, your scalp may be very tender and you may need to take pain medications for several days. 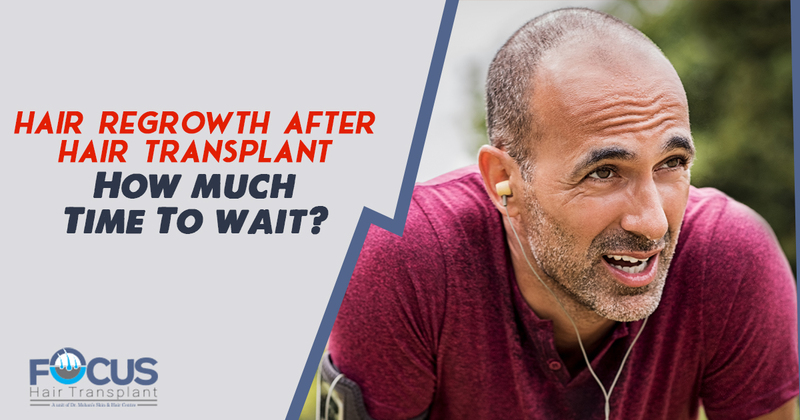 Within 2 to 3 weeks after surgery, your transplanted hair will fall out and you would start to notice new hair growth within a few months. Most of the people will see 60% of new hair growth after 6 to 9 months. At 6 month one will surely have the majority of growth but with hairs looking thinner than they usually are. One should expect the full growth with thick healthy hair by 12-18 months. Some surgeons will prescribe the hair-growing drug minoxidil (Rogaine) to improve hair growth after transplantation, but it’s not clear how well it works. Keep your fingers away from healing scalp. Just avoid scratching your hair or picking at the small scabs. Limit your physical activities after hair transplant treatment such as jogging, bicycling and sports etc. One must consume healthy diet that contains a variety of healthy foods including antioxidant food and avoid eating food that may be allergic. Most importantly treat your scalp gently after hair transplant surgery. Apply medications prescribed by the doctor and use minimal pressure to avoid disturbing the sections of transplanted hair. If you want proper guidance and complete hair care treatment after hair transplant surgery, then consult NRI for getting a topical solution that may stimulate your hair growth. Just follow their instructions to get the best results from your transplantation procedure.